Christian music veterans Shane & Shane are back once more. After a less-than-exciting Christmas project last year, Everything Is Different gives the duo a chance to turn up the creativity level once again and reconnect with their fans. They may even gain some new ones along the way. Opening track and lead single "Everything is Different" really helps set the overall tone for this record. The catchy acoustic melodies found throughout the track listing really help to showcase that Shane Barnard and Shane Everett enjoyed recording this album, and a true reflection of that comes through notably on cuts like "My Hope Is Built" and "I'm Alive". With worship being their main intent, Everything Is Different lyrically sets the bar for other worship artists to follow. "Rain Down" cries out for God's presence, while "Worthy of Affection" is a soul opening mid-tempo song of surrender. 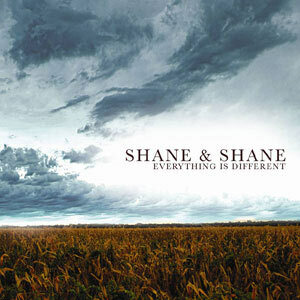 Shane & Shane's undying and unashamed faith found on this record really set them apart from the secular direction that Christian music seems to be headed, and for that, they deserve to be commended. It's only fair, though, to point out that Everything Is Different isn't a perfect album. While it really is a great listen, it's not a classic. The disc fails to reach its full potential due to the overall monotony of the music itself. In other words, it doesn't take long to get bored with the record. When it's all said and done, however, long time Shane & Shane fans will like what they hear. The spiritual messages do justify giving Everything Is Different a spin at least. Next time around, we'll hope for a little more risk, but for now, the duo that Christian music has come to love over the past decade remains in their stronghold.